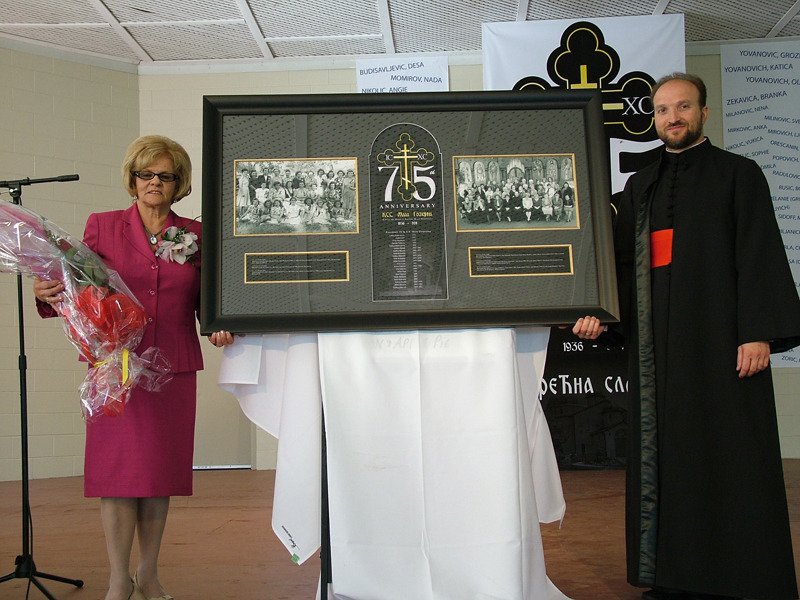 Niagara Falls, Ontario - St. George Serbian Orthodox Church of Niagara Falls, Ontario - Canada joyfully celebrated 75 years of devoted service and dedication given by its Kolo Srpskih Sestara "Mala Gospojina" on Sunday, September, 18 2011. 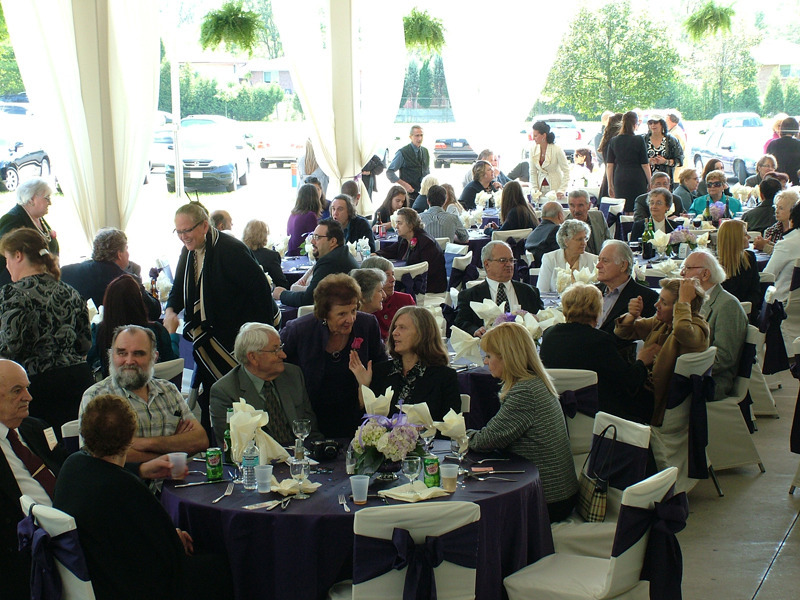 On this special day, all the living women of the Kolo were honored and departed members were remembered with great respect and heartfelt thanksgiving for their never-ending love, dedication, and hard work . another and to never divert from the path of Christ. Honored Kuma was Mara Dancuo who is a long standing member of the Kolo. Olivera Rusic accepted the honor for next year. 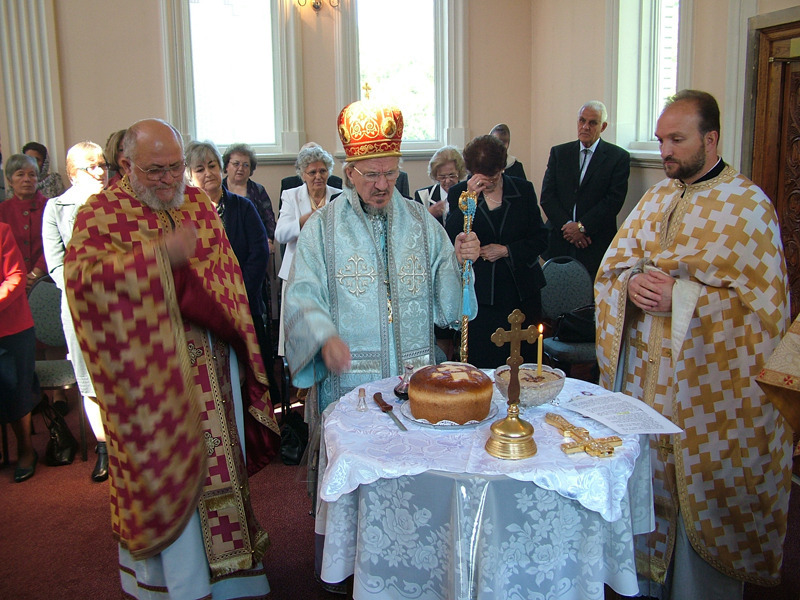 Following the Divine Liturgy everyone attended a delicious banquet at the Church Pavillion. 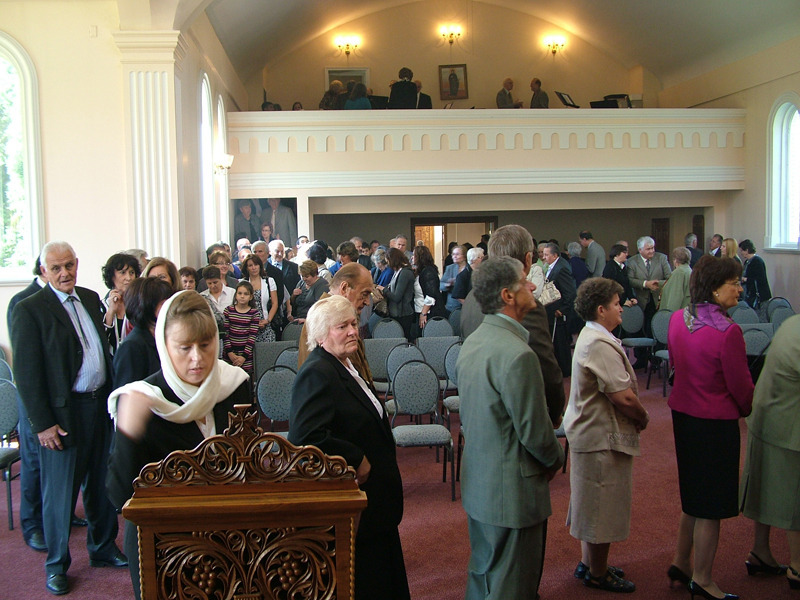 Over 350 people celebrated this special occasion. 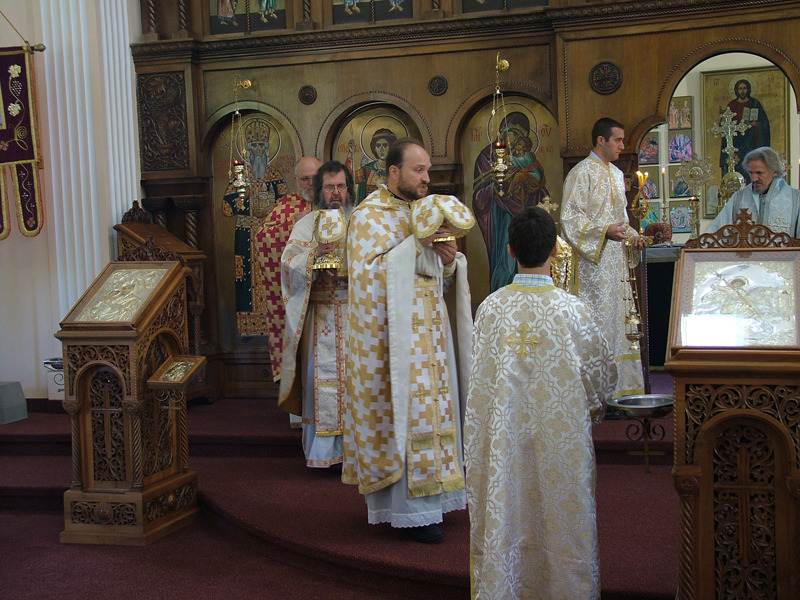 St. George and St. Nicholas Choirs sung the Lords prayer for the blessing of the meal. 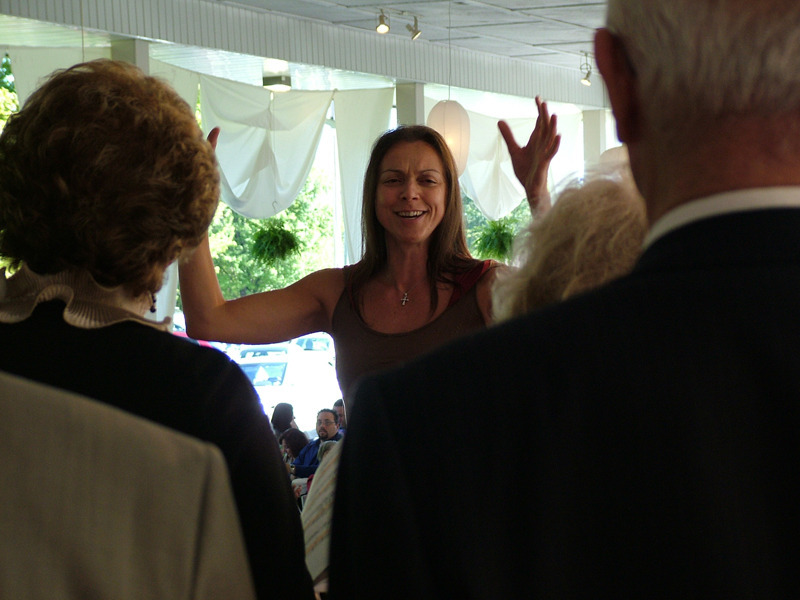 After the wonderful meal, the program began and Milena Yerich served as master of ceremonies. 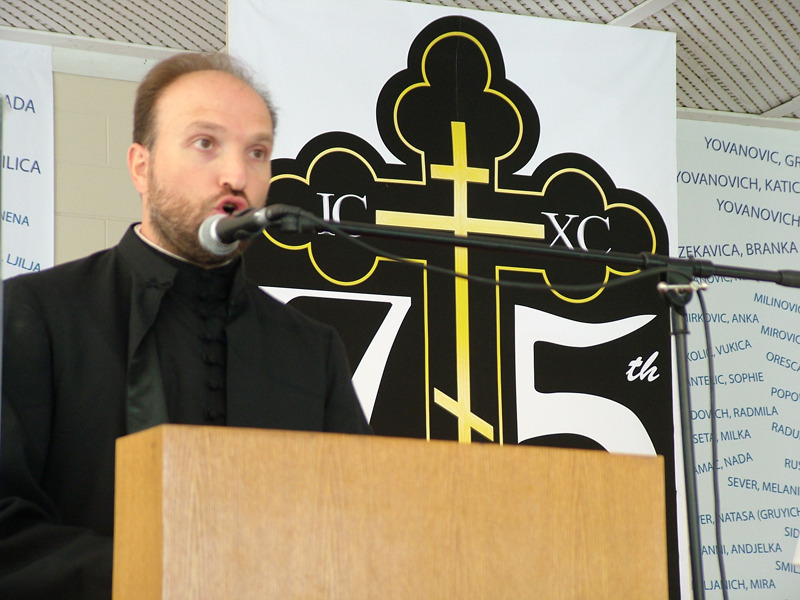 Parish priest Father Dejan Obradovic gave a speech and Svetlana Yovanovich provided a brief history of the Kolo. His Grace Bishop Dr. Mitrophan once again spoke about the importance of remaining united and continuing to maintain harmony amongst one another. 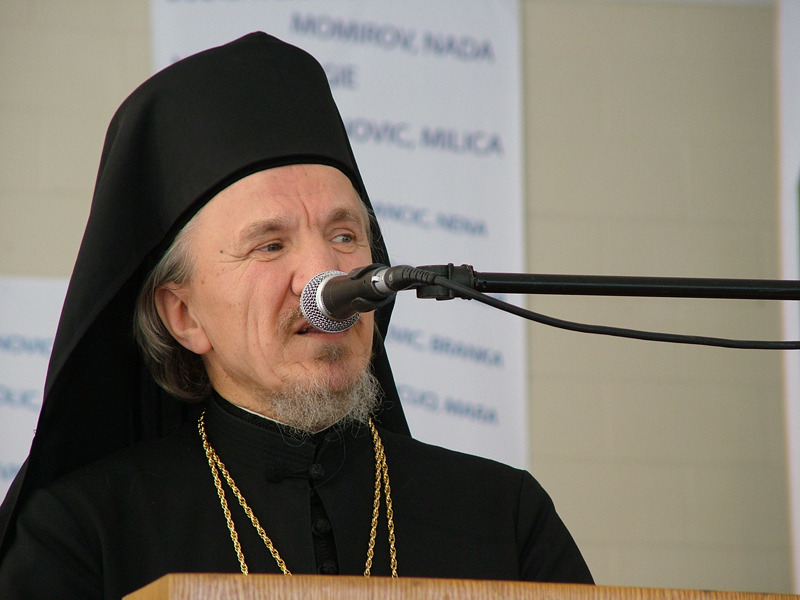 The program consisted of performances from the St.George Choir, the St. Nicholas Choir from Hamilton and the Folklore Group Vracar from Niagara Falls under the choreography of Nikola Jovic. 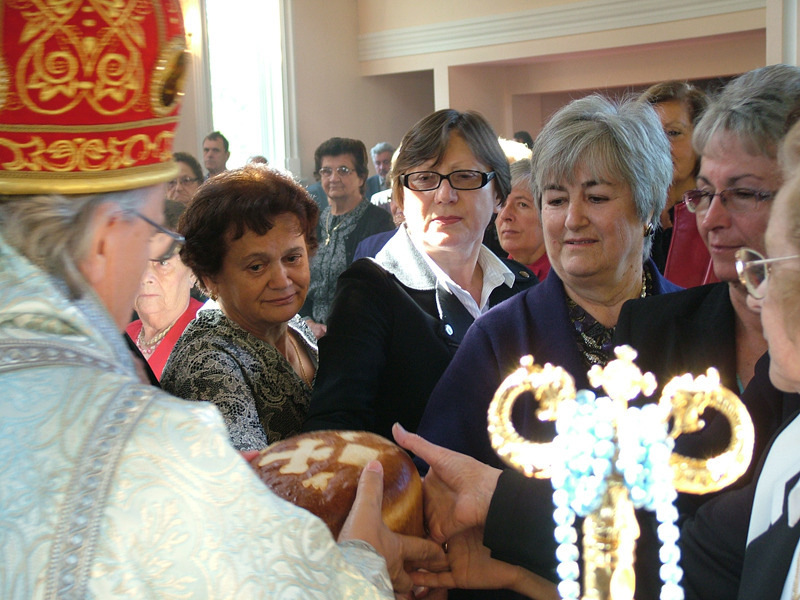 President of the Kolo Ljubica Mirovich expressed her heartfelt thanks to all the sisters for their tireless work and dedication to the Church and Glory of God. 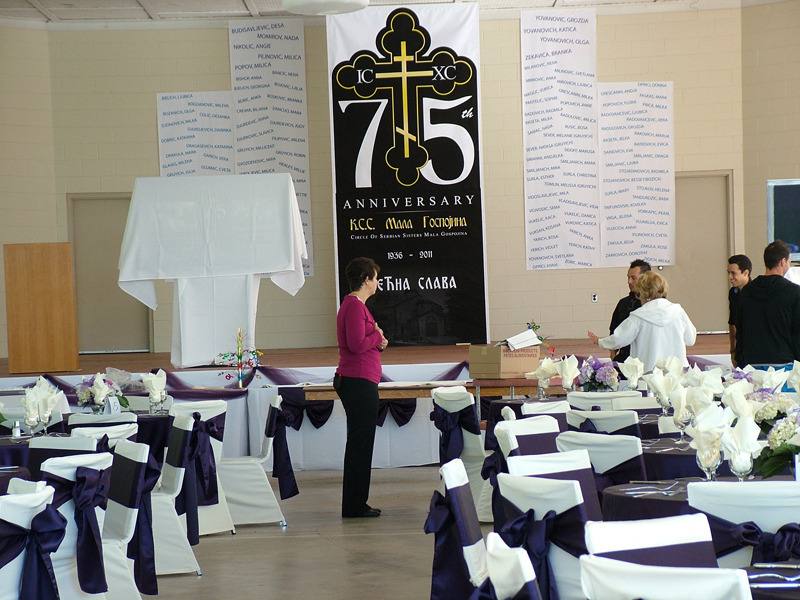 She thanked all present for coming to this memorable celebration of the 75 years of God's Grace. 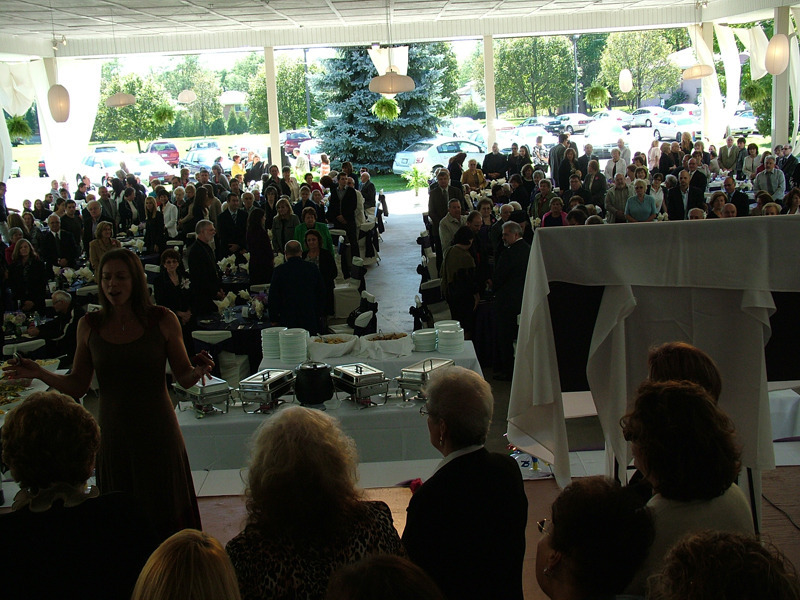 Following the banquet the Serbian "Paganini Band" entertained everyone in attendance. We are blessed and thank God for that.